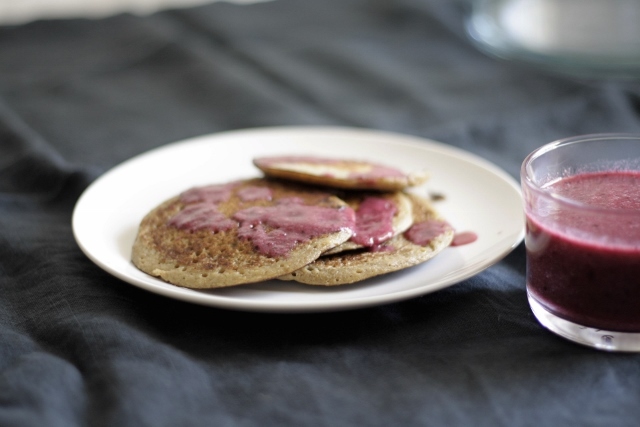 Granola Dust Pancakes and Warm Fruit Smoothie. 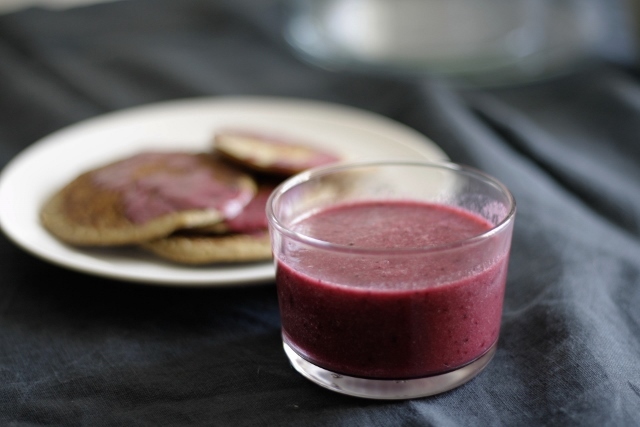 Do you like fruit smoothies for breakfast? 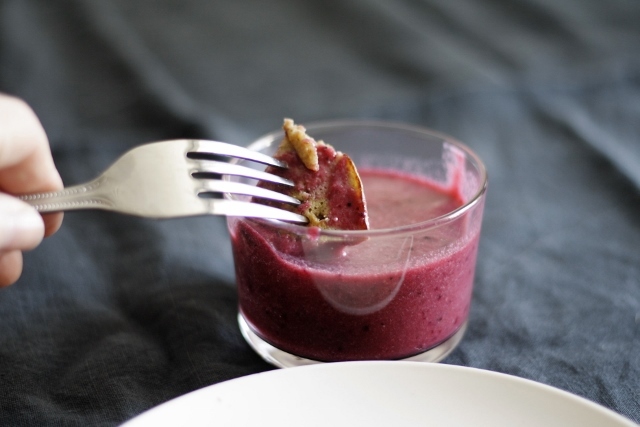 I often make them from frozen fruits blitzed up in the blender, which makes them super cold and can give you a bit of a brain freeze if you drink them down too quick. The warm fruit smoothie came about by accident really, while trying to make a kind of warm berry sauce for my pancakes one morning, I heated up some smoothie in a pan, and what was left I just drank down not wanting to tip it down the sink, and that's when I discovered the warm smoothie. 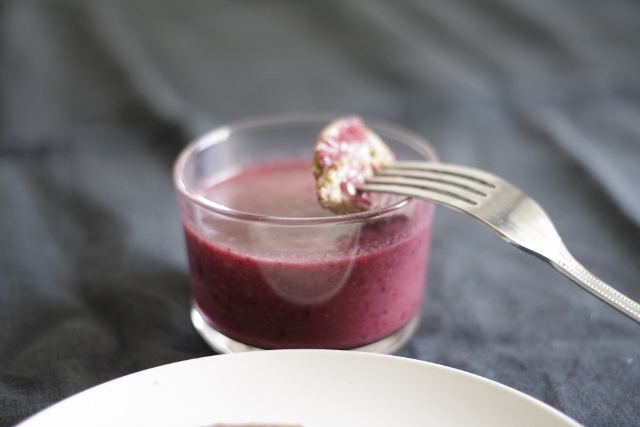 It's a bit like a fruit tea, but with a smoothie texture, and is a gentle wake up for the tummy on cold mornings! Pour into a flip top jar. splash of milk to loosen adjust accordingly. Cook on a medium heat, don't turn over too soon or they break up. I like the forest fruit blend. Nina's Save cold pressed Super Blue Juice. For a warm smoothie just heat gently in a pan. 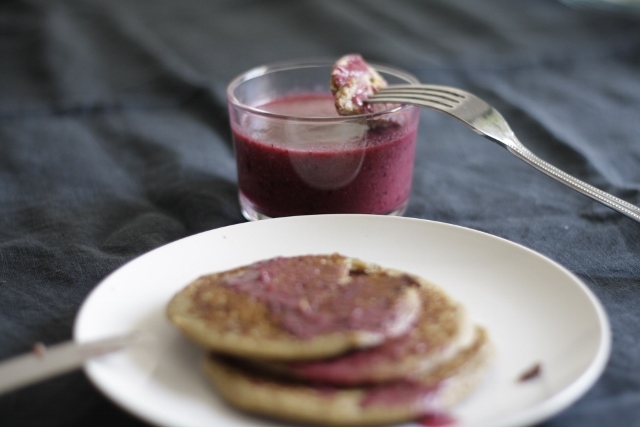 The warm fruit smoothie also makes a great dipping sauce for pancakes too. My Granola dust and pancakes are a variation on the Jamie Oliver ones in his latest book, Everyday Super Food, which I love, his recipe for the pancakes is easy to miss, I thought I had discovered this first until I came across the recipe after flicking through the book one day, you can find it on page 18 if you have it.